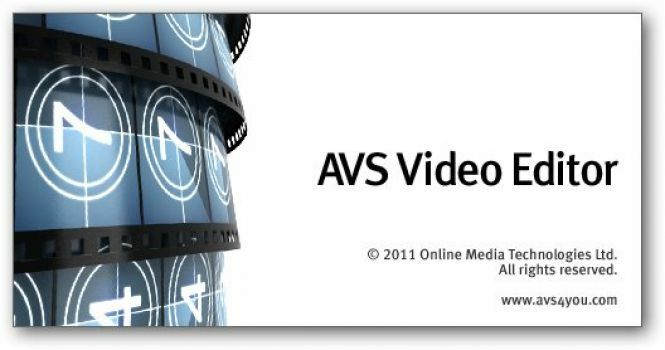 AVS Video Editor - download in one click. Virus free. 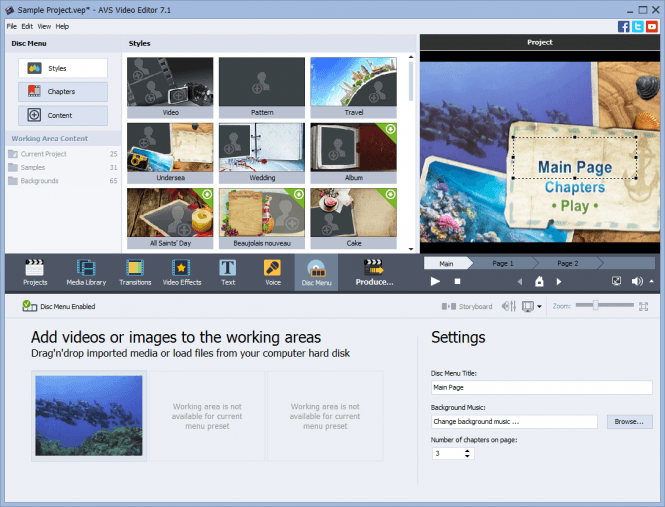 Download the latest version of AVS Video Editor with just one click, without registration. 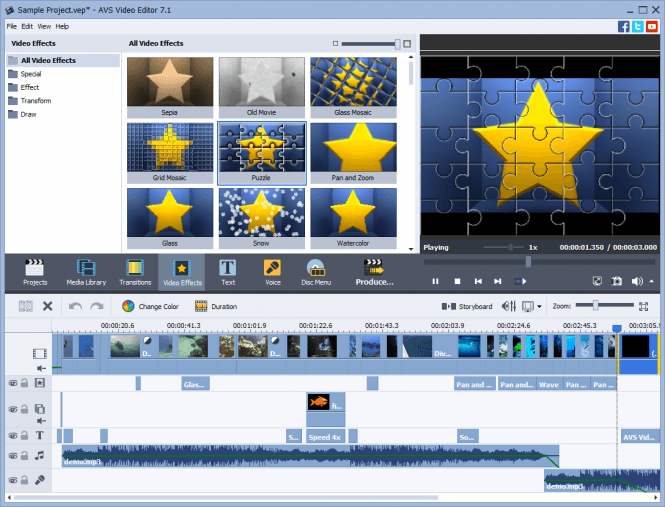 It comes with a safe official offline installer for AVS Video Editor. AVS Video Editor is one of the AVS software products created by Online Media Technologies Ltd. for editing and converting media files. The main advantage this video editor has is the range of formats it covers. Most lightweight editors and converters operate with llimited numbers of supported formats, but AVS Video Editor reads and edits AVI, VOB, MP4, DVD, WMV, 3GP, MOV, MKV, H.263/H.264 codecs and many more. This immediately elevates the program above two to three format editors usually distributed without trail versions or high prices. This is especially true due to the fact that it can work with HD videos without lagging and at relatively good speed. Every video in supported format can be cut, edited, split, rotated, merged with other media fragments. The editing tools are pretty standard, but do not lack in anything an average user might need. it's not as complex and functional as giants like Sony Vegas, but it does a good job in its category. Several hundred effects can be applied to video files, adding menus, text and all additional audio is easy. Users can even do that with Bluray videos, also accessible through the editor. One special notice should be given to the option of stabilizing shaky camera records. Few editors have that kind of tool, and it can be very helpful. AVS Video Editor can also record video from computer screen, transfer it from web or VHS cameras, save it on drives or burn discs containing files. Finished videos can then be uploaded to Facebook, Youtube and other media networks directly from the editor using built-in interface. The editor is available in English, French, German, Spanish, Italian, Japanese, Dutch, Polish, Danish and Russian, which makes it one of the most popular free programs of its kind. It is distributed free and does require registration, but the only limitation of unregistered version is a watermark on videos, but not a restriction of any functions.